NYC rat control is in the news along with four other major metropolitan cities across the globe experiencing an excessive rat population. In an effort to get the rats under control, these cities have gone to extreme lengths to find a solution. According to officials, in 2007 Brooklyn had the worst rat infestation. The cities solution was to populate the borough with opossums. Sounds good except the rats outran the opossums creating their own excessive population. In 2000, the Windy City addressed the problem with another four-legged predator; coyotes. In a test program, the city felt a group of Wiley coyotes could clean up the city; and they have. The City of Lights has an estimated eight million furry creatures roaming the streets. That’s more than the cities human population times four. Each spring, the city has a campaign called “Le Smash” where teams scour the public parks and citizens check their homes to take care of business. Shanghai, like Paris, is overrun and their solution is a Spring Rats Elimination Campaign where hundreds of people lay traps. The Scots have taken rat control to another level using rat birth control methods with success. 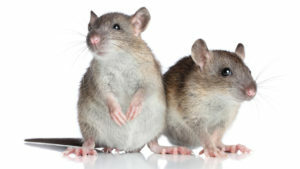 NYC rat control is one of the specialties of Stern Environmental. With expert technicians, equipment, and treatments rats can become a thing of the past in your home. Call today; be rat-free tomorrow.